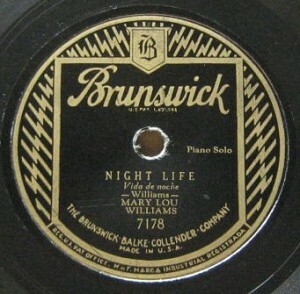 In today's episode I spotlight the Brunswick label, in particular its "Race" series that ran from 1928 to 1933, and I pick some releases from 1930 out of them. A time getting more and more difficult with the harsh situation in the Great Depression becoming evident, and the record industry was about to face hard times. Brunswick is a label that still exists, re-releasing gems from the sixties when it was a leading label in Chicago soul. With that, it's one of the oldest labels that still exists - be it that through the years ownership changed many times.